My city collects trash bins from the curb every week, and hauls off our recycling every other. Yet on top of that, my wife and I pay a private company to dispose of our eggshells, banana peels, and wilted greens at the back of the fridge that we forgot to use before they turned bad. 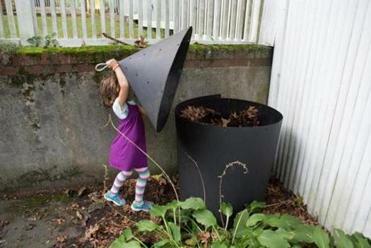 Count us among the growing number of urban dwellers who have taken up the environmentally conscious habit of composting. Or, at least, we pay someone to compost for us, a practice that could be described as subscription composting. Every two weeks, a driver retrieves a 5-gallon black bucket from our home in Lynn that holds all of our discarded food waste and replaces it with an empty vessel. For this simple task, we pay $7 per pickup. Private composting companies such as the one we use are expanding quickly in Greater Boston. City Compost has grown from 40 customers in 2017 to nearly 2,000 this year. Bootstrap Compost counts nearly 2,500 residential customers stretching from Woburn to Wellesley to Braintree. Dozens of these private composting operations have sprouted up across the country in recent years. They’re helping to encourage the public conversation about composting and meeting a demand that could lead to continued growth, says Kirstie Pecci, a senior fellow at the Conservation Law Foundation. While the state tracks commercial composting, there’s little data on how many people compost at home. One recent survey found that less than 30 percent of Americans are composters. In Massachusetts, the most recent survey information comes from 1999 — when the Department of Environmental Protection found that the composting population covered about 25 percent of residents with yards. Our approach isn’t perfect. By hiring a company to drive our way and remove our waste, we’re not exactly cutting down on carbon emissions. It would be better — for both the environment and for our wallets — to collect food scraps in the backyard and compost ourselves. We wouldn’t be entirely on our own: City and state programs offer subsidized compost bins to encourage the practice. Some cities and towns, including Boston, also have community centers where residents can drop off their collected waste. Your biodegradable apple cores and coffee filters are needlessly stinking up landfills, driving up expenses for trash pickup, and yes, hurting the environment. But my wife and I work long hours, and our thumbs aren’t green. So we’re happy to pay somebody to haul our food waste to a licensed composting facility, where it’s converted into soil. These companies, which pay the facilities to compost the food, mostly focus on residential service, but they have also branched into the more heavy-duty work of picking up scraps from office buildings, restaurants, and cafes. Some have also sought to partner with the public sector by working with cities or towns to collect residents’ food. We keep a small bin of compost in the freezer, which eliminates the odor, and when it fills, we empty it into the bigger black bucket on the back porch. 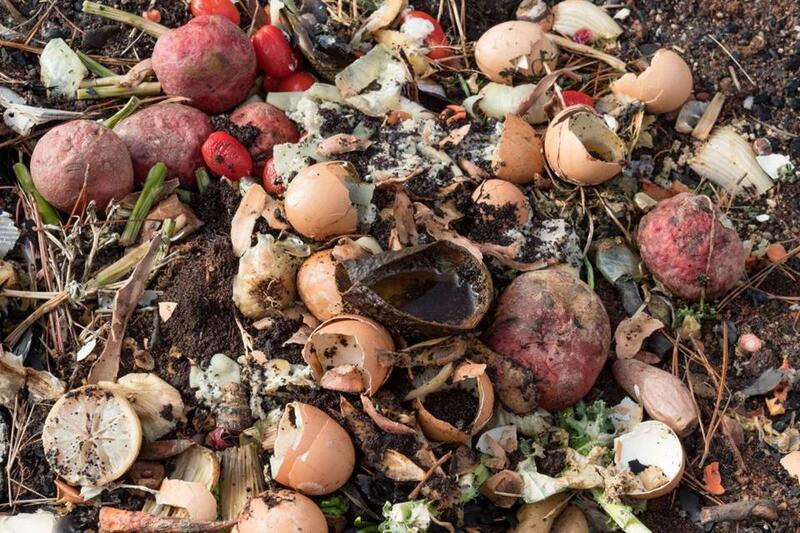 We don’t need to worry about the finer points of composting, like watering the heap or ensuring we have the right mix of different types of waste for it to properly break down. This kind of paid composting is especially popular among urban dwellers who, for example, reside in multifamily housing or don’t have room for a compost bin, says Frank Franciosi, executive director of the US Composting Council. “I don’t want to hang [the growth of the industry] all on millennials, but they want to be in a place where there’s mass transit, culture, music, activity — and they want to do something environmental,” he says. According to the federal government, the average person wastes more than 200 pounds of food a year. Other surveys have found that the typical composting household will divert more than 350 pounds of waste from the trash in a year. But let’s be honest: The impact of our few pounds a week only goes so far, and only so many people are willing to pay for the service. Residential composting won’t really pack an environmental punch unless more Massachusetts cities and towns start to offer free curbside composting collection. More than 300 communities provide the service across the country, compared with fewer than 100 in 2009, according to a national study. And a few Massachusetts cities and towns already offer composting, including Cambridge, which spent $1 million to expand a pilot program citywide this year. Some city councilors in Boston have also pushed the idea. Environmental activists have criticized Cambridge’s model because the food scraps are not actually composted; they’re processed through a wastewater facility and turned into fertilizer. Some activists would prefer the city change this strategy. Nonetheless, the benefit is clear enough: Organic material is diverted from landfills. And if you make it easy for more people to stop tossing their scraps in the garbage, more people will probably start doing so. At our house, composting has had a snowball effect, encouraging us to cut down on all our waste — not just from food scraps. Our output has dropped considerably since we signed up for the compost service. These days, we try to limit ourselves to one full garbage bag every two weeks, compared with a bag a week in our pre-compost days. It’s almost a game or a challenge to see how long we can go without emptying the trash. And without any old food filling it, we don’t have to worry about the smell. Adam Vaccaro covers transportation for the Globe. Send comments to adam.vaccaro@globe.com.